Finding things to do in Nafplio is not complicated, mostly because those things to do are simple and accessible! 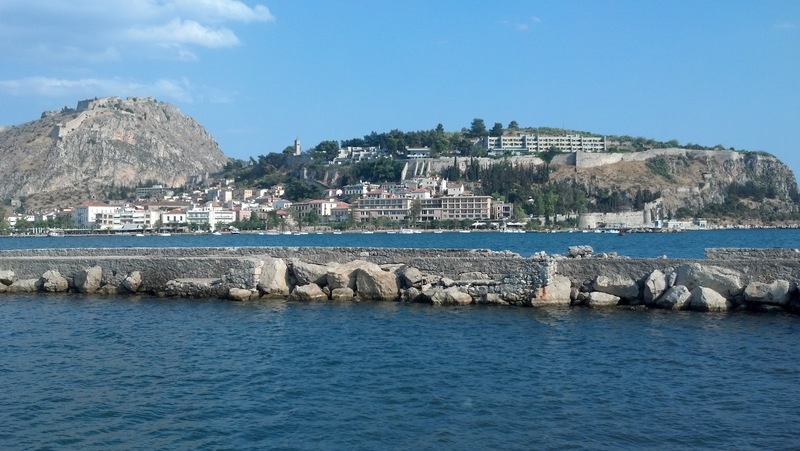 Way to go, Nafplio! (See, it even makes a sweet rhyme.) My arrival here, which entailed getting from Delphi to Athens to the Peloponnese via bus, metro, on foot, and by zeppelin (kidding), was duly rewarded by Nafplio itself; by the time I had made it from the KTEL station to my little hotel, I was already in love. That being said, Nafplio is not really a backpacker’s tourist destination. That’s okay, since I’m not really a backpacker I guess, but I am on more of a budget than, say, the yachting French family who might spend a week in Nafplio, too. So, here are my five favorite things that I did in Nafplio over the week that I was there (Monday-Friday), and they didn’t even break the bank. 1. Catch the sunset off the port. I know, I know, I’m becoming a bit obsessed with sunsets. So sue me, they’re pretty, okay!? Plus, they are perfect for photos, since the light here in Greece is A.MAZ.ING. But really, they are also worth watching, especially in a setting like this one. 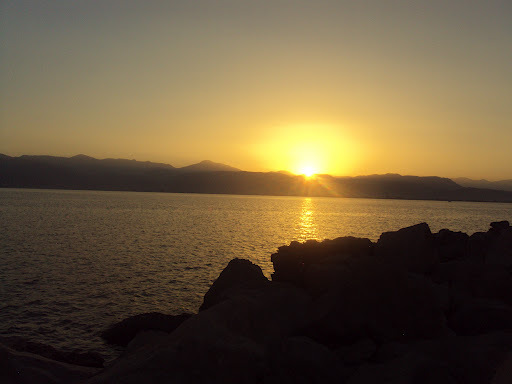 The first night I arrived in Nafplio, I walked down to the port and ambled along the promenade. There are many places to sit, whether you want to watch the sun going to bed from a water-side cafe with a coffee in hand, or just from one of the many benches along the way. Unedited sunset off the port in Napflio. 2. Go to the beach. A couple beach options exist in Nafplio. If you want sandy, go to Karathona beach, which is accessible by bus and is maybe a fifteen minute bus ride. You can also take a 5-8 euro cab ride there and it’ll take less than 10 minutes. Or so I hear. I never made it there, because I really liked the rocky beach, Aravitia. Aravitia is accessible on foot a couple different ways. For a less scenic route, head into town basically to the KTEL station, on Sigrou. 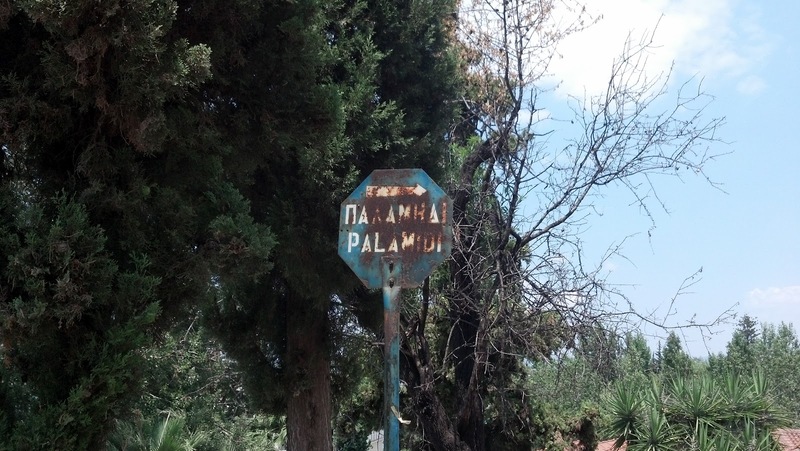 When you’ve passed that, on the left is a little square with a statue in it; go that way and up, towards the stairs to the Palamidi Fortress. But, instead of working your buns on the stairs, keep going and you’ll hit the beach. There’s a snack bar, and umbrellas if you don’t bring your own. The water is so crystal clear that once in awhile when I was swimming, I’d see a fish and vaguely flail for a second before remembering that they’re not going to try to devour me. The other way to get to Aravitia is a lot prettier, although depending on where you’re coming from, takes longer. Go to the port, and follow its curve, keeping the cafes, etc. on your left. Just keep going, past the playground, past the other swimming area, and along the walking path. It hugs the coast and the town, and is quite picturesque. You’ll usually see a sailboat or two going along. Keep going, and you’ll run into Aravitia Beach! 3. 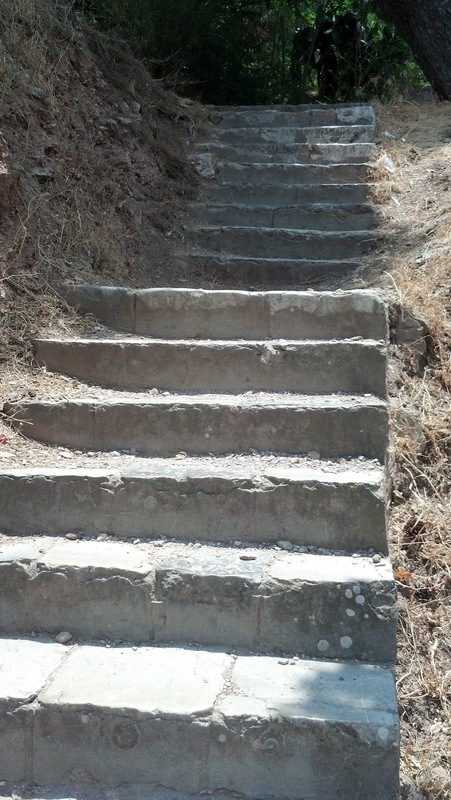 Climb the 999 steps to see the Palamidi Fortress. Other than being a great workout (again, bring sunblock! And water! 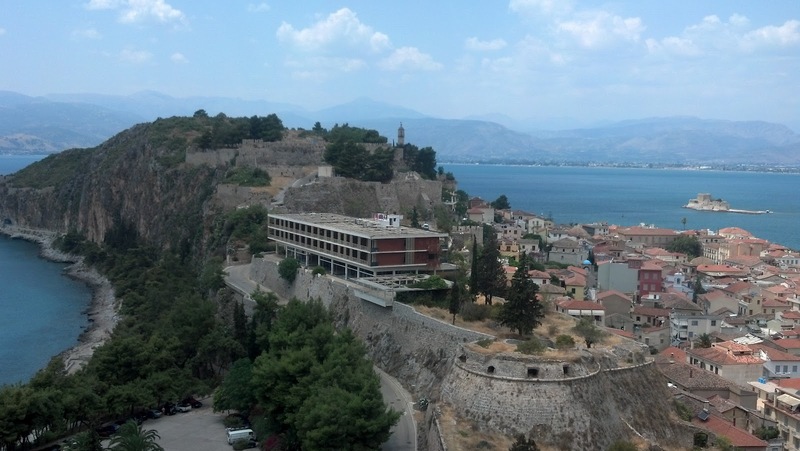 ), climbing the steps to the fortress affords you a very cool view of the city of Nafplio. As you ascend, the little peninsular shape of the town comes into view, and you can see from yet another angle how incredible Greece’s landscape really is. Legend has it that there are 999 steps. I started counting and got to about 18 when I got distracted and decided counting was a silly idea. I really enjoyed exploring the fortress, which was built in the 18th century and before it was finished, fell to the Turks, but was later recaptured in 1822 by the Greeks. Not only is it huge, with eight bastions, it also is a historically important part of the city. One of the heroes from the War of Independence, Kolokotronis, supposedly was imprisoned there, and you can see where he was kept. Plus, the view of the city and the sea is smashing. 4. Go on a day-trip to Mycenae. What is Greece known for if not for its ruins? The austere glory of the Acropolis, the columns of Delphi, and don’t forget all the good stuff in the Peloponnese. If you took any kind of art history in high school (or college, or whenever), Mycenae should ring a bell. It’s where they found the “funerary mask” of Agamemnon, and the famous Lion’s Gate still stands. If art isn’t your thing, then maybe epic Greek poetry is. If the names Agamemnon, Orestes, Clytemnestera, or Iphegeneia sound familiar, Mycenae is supposedly the place where they hung out. In any case, the ruins are fun to explore, especially if you have an interest in ancient history. 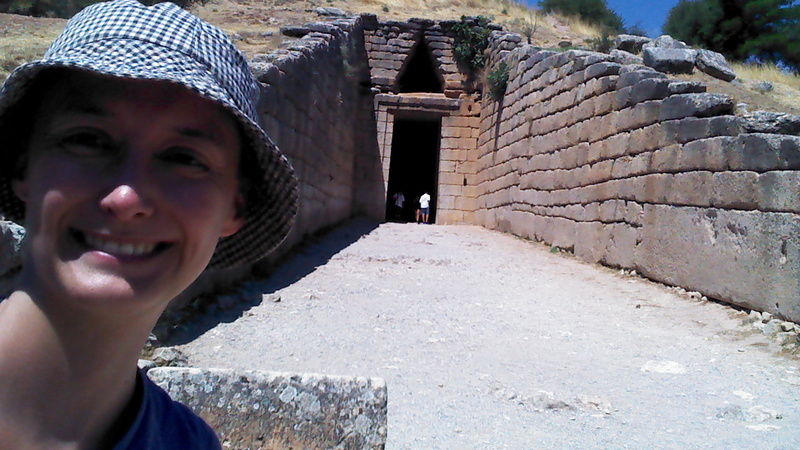 Mycenae’s structures date back to the 16th century BCE, and include grave circles, a cistern, remnants of house layouts, a granary, the lion’s gate, the treasury of Atreus, and, of course, the palace. Again, be sure to bring a hat and water, as there is minimal shade on the citadel. The KTEL bus from Nafplio to Mycenae (look for Mykenes on the bus) takes you right to the site in just about an hour, and runs 3 or 4 times a day. This post was linked to Pretty Travels Volume 2: Sun, Sea & Sand! That sunset pic is RIDIC. Also, I chuckled out loud at your steps caption. (Then again, when don't I chuckle at your captions?) LOVE THIS. Yay! Sounds amazing! Love that you are there. Give lauren my love. Oh Sara, I’m so glad you took part in Pretty Travels [it did seem JUST up your street to me! 🙂 ]. And this is such an excellent tips-filled post. I adored Santorini and would love to explore more of Greece, especially your discoveries in this gorgeous spot! !